Spectator Sports in Raleigh, N.C.
You’ve come to the right place, sports fans! Raleigh, N.C., has a lot to offer when it comes to head-to-head competition. 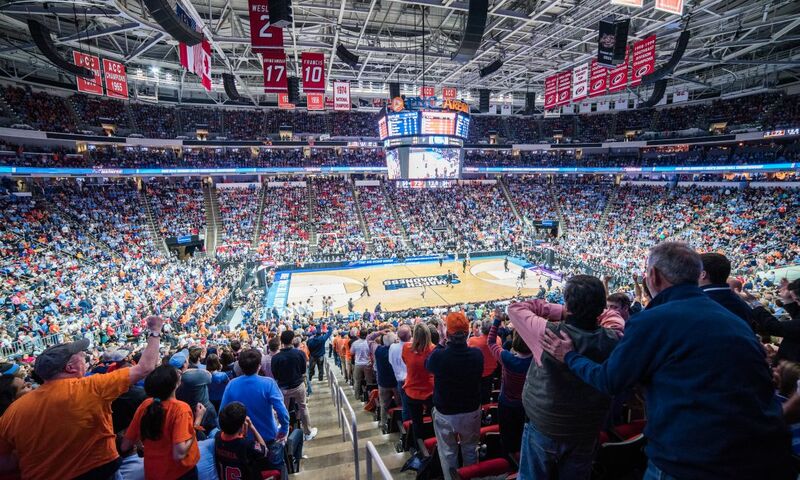 From edge-of-your seat NHL hockey games to buzzer-beating Atlantic Coast Conference (ACC) basketball games and more, the on-court action gets taken seriously around here. Take Raleigh’s biggest hometown professional sports team, for example—the NHL’s Carolina Hurricanes. 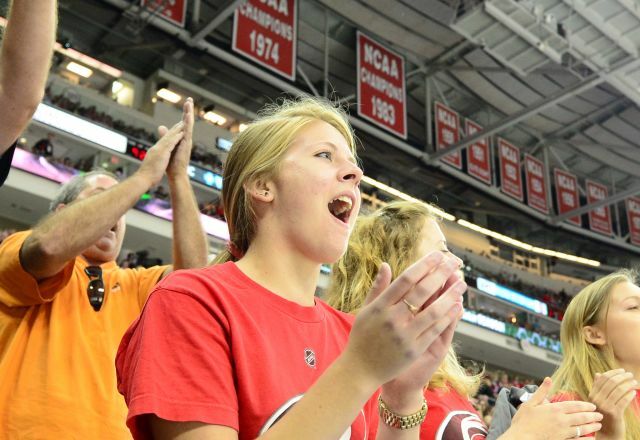 The ‘Canes (as they’re referred to locally) play their home games at 20,000-seat PNC Arena from Sept. to April and have created the ultimate fan experience. Not only can you hear bone-crunching hits echo throughout the arena and see the puck fly around the ice at breakneck speeds, but you’ll also want to listen out for the unique goal horn, keep your eyes peeled for the Storm Squad (the Hurricanes&apos; cheerleading team) and check out the concessions where you’ll find local beers on tap and uniquely-Raleigh food items like mouth-watering barbecue sandwiches. The game day experience starts outside the arena, too, where easy-to-navigate parking lots double as prime tailgating spots (yes, we tailgate for hockey games in Raleigh). 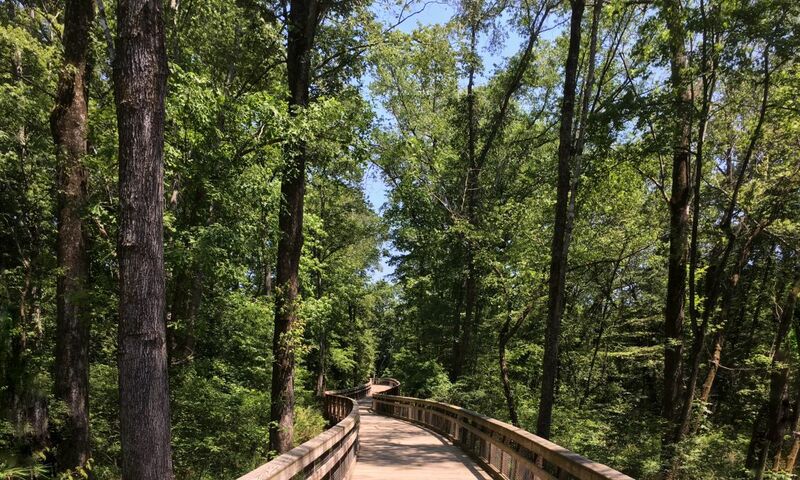 Equally loved locally, Raleigh is also home to six colleges and universities that take to the field in the City of Oaks, including North Carolina State University. The Wolfpack men’s basketball team plays home games at PNC Arena (which will play host to the NCAA Men’s Basketball Tournament in 2021 as well), where they take on historic rivals like Duke University and the University of North Carolina at Chapel Hill each season. The Wolfpack football team plays just a few steps away at Carter-Finley Stadium, where 60,000 screaming fans literally make the stadium shake after touchdown runs and quarterback sacks. Fans of a different kind of football will want to know about North Carolina Football Club, the professional men’s soccer team playing in the United Soccer League (USL). They play home games at Cary&apos;s WakeMed Soccer Park, as do the North Carolina Courage, a women’s team playing in the National Women’s Soccer League (NWSL). Elsewhere around town, family-friendly baseball action is the name of the game at Five County Stadium in Zebulon, where the Carolina Mudcats (single-A affiliate of Major League Baseball’s Milwaukee Brewers) take to the field. Pro tip: Don’t miss out on post-game fireworks following each Fri. night home game! You’ll find more teams battling it out for bragging rights across the area—from ultimate disc to roller derby and beyond. Check the listings below to get the full scoop!